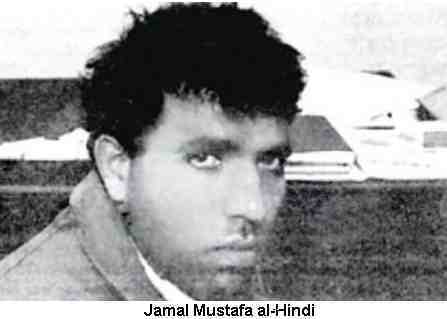 Jamal al-Hindi to receive an undisclosed amount of money for a partial disability that he says was caused by torture at the hands of Shin Bet agents 15 years ago. In an unusual move, the Shin Bet security service has agreed to compensate Jamal al-Hindi, a member of the Popular Front for the Liberation of Palestine, for a partial disability that he says is due to having been tortured by Shin Bet agents 15 years ago. The amount of compensation remains secret by court order. On July 18, 1995, Ohad Bachrach, 18, of Beit El and Uri Shachor, 19, of Ra’anana were murdered as they swam in Wadi Kelt. The perpetrators shot them at close range. Two weeks after the murder, the Shin Bet arrested al-Hindi, a PFLP member from Qalqilyah, as a suspect. 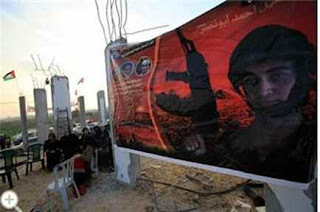 Hindi had served three prison terms in the past − for throwing a firebomb, putting up PFLP posters and kidnapping Palestinians who allegedly collaborated with Israel. 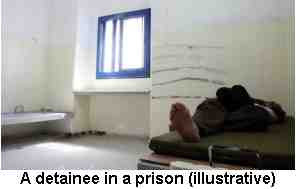 In a lawsuit filed subsequently, Hindi detailed the torture he underwent, including being handcuffed in painful positions, deprived of sleep, shaken and slapped. He alleged that his interrogators threatened to kill him and destroy his home. The other two men he named were arrested by the Palestinian Authority. After the investigation, Hindi claimed he was bullied into a false confession. And he apparently had an alibi: On the day of the murder, he had worked in the settlements of Alfei Menashe and Tzofim. His name had been recorded for security reasons, and his employers confirmed his story. The murder charge was therefore dropped, and he served six months for belonging to the PFLP. In 1996, he sued, and the doctor who examined him confirmed that he suffered a 30 percent psychiatric disability. Fourteen years later, the Shin Bet has finally agreed to compensate him, though without admitting wrong or accepting responsibility. But the court ordered the details of the agreement kept secret. TEL AVIV, Israel (Ma'an) -- In what Israeli media called "an unusual move," the country's internal security service the Shin Bet reportedly agreed to compensate a Palestinian man disabled while under torture by the service's investigators. The victim, identified by Israeli daily newspaper Haaretz as Jamal Al-Hindi, was detained in 1995 for his involvement with the leftist party the Popular Front for the Liberation of Palestine, said at the time to have been behind the shooting deaths of three Israeli settlers swimming near Jericho. Al-Hindi was detained and questioned as a suspect, confessed but later recanted saying he had told interrogators what they wanted to hear just to make the torture stop, the newspaper report said, noting that an employer in and Israeli settlement vouched that he had been at work at the time of the shootings. Following the questioning, he reportedly filed a lawsuit detailing beatings and torture he underwent during the interrogation. One year later the lawsuit was filed, Haaretz said, and a doctor testified that Al-Hindi suffered a 30 percent psychiatric disability as a result of the torture. According to the paper, compensation will be provided, without an admission of wrongdoing. The court would not make public the final details of the settlement, the paper said.